We're crazy for Coconut! There's so much love about Coconuts, from their delectable flavor and textuer to their many culinary uses and rich nutrient content. 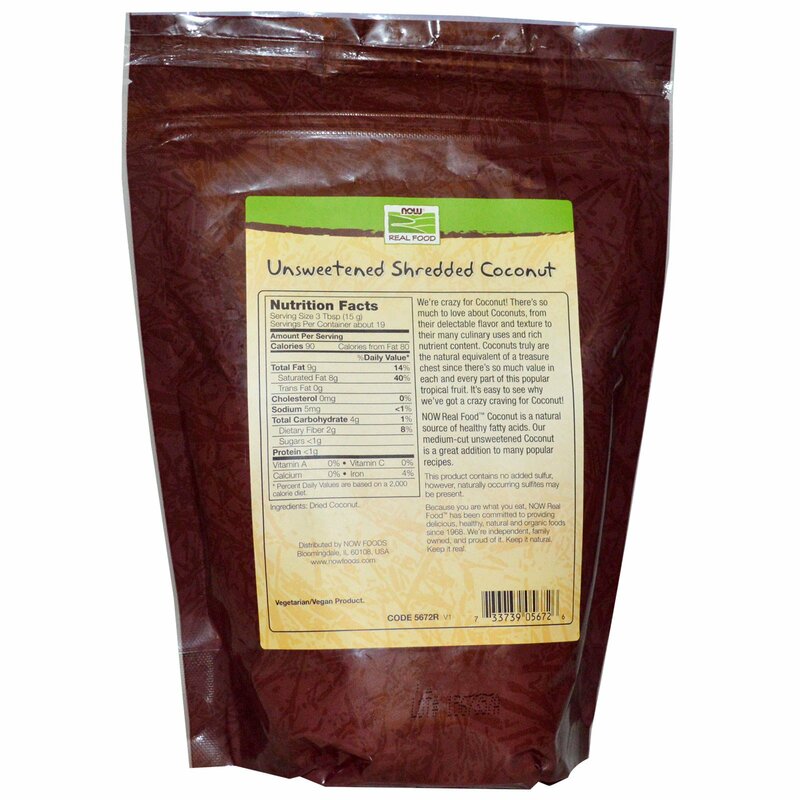 Coconuts truly are the natural equivalent of a treasure chest since there's so much value in each and every part of this popular tropical fruit. It's easy to see why we've got a crazy craving for Coconut! 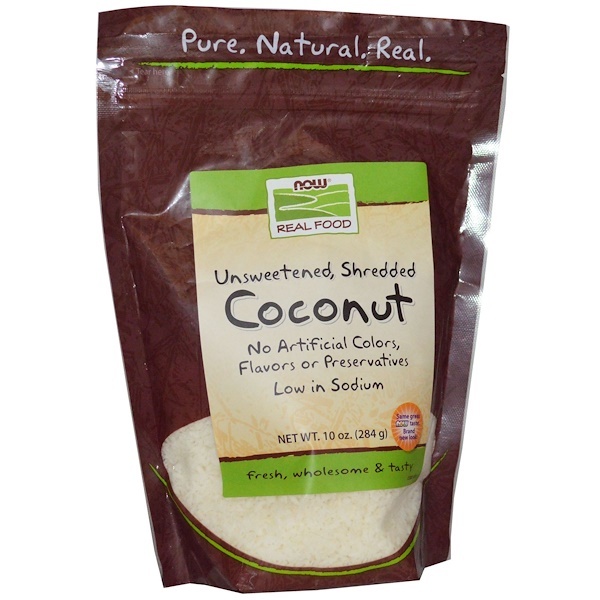 NOW Real Food Coconut is a natural source of healthy fatty acids. Our medium-cut unsweetened Coconut is a great addition to many popular recipes. Because you are what you eata, NOW Real Food has been committed to providing deliious, healthy, natural and organic foods since 1968. We're independent, family owned, and proud of it. Keep it natural. Keep it real.